Paper cutting is a traditional Chinese technique and you will see lovely intricate designs displayed at Chinese New Year. 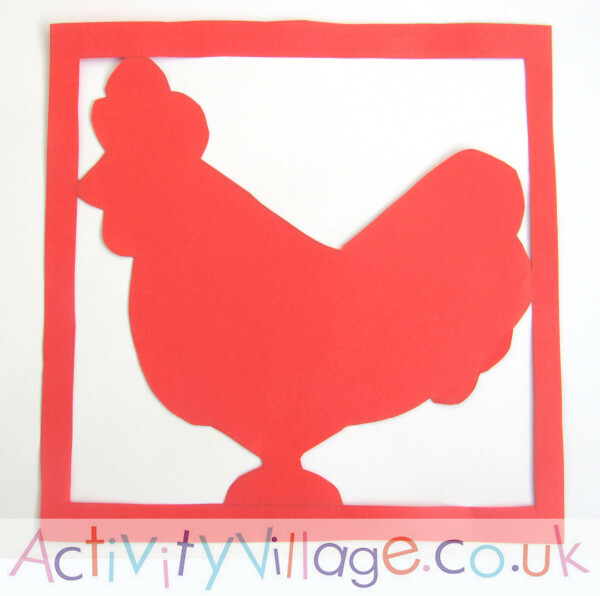 We've come up with two rooter paper cuts for Year of the Rooster - one with a simpler outline and one a lot more tricky! You will find templates below the photos, instructions here and more information about Chinese paper cuts here. 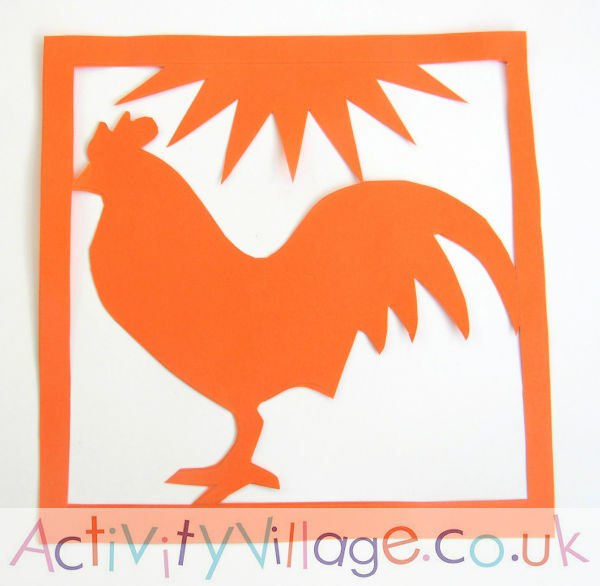 Our rooster paper cut 1 - tricky!